FOR most people in Belfast the Black Mountain is a backdrop to the city, the one with the large TV transmitter on top, alongside Divis and Cave Hill. But for the people of a small Balkan nation Black Mountain is the name of their country, Crna Gora in Serbo-Croat which was translated by Italian conquerors into their language as Montenegro. In terms of breadth and width Montenegro is tiny, around 150km in both directions, making it a fifth of the size of Ireland. But when it comes to height it is a towering nation, with wave after wave of mountain ranges rolling out into its hinterland. Montenegro was the last of the former federal republics that once made up Yugoslavia to break away from Serbia just over a decade ago, a much less painless and non-violent process compared to its neighbours in Bosnia, Croatia and Kosovo. 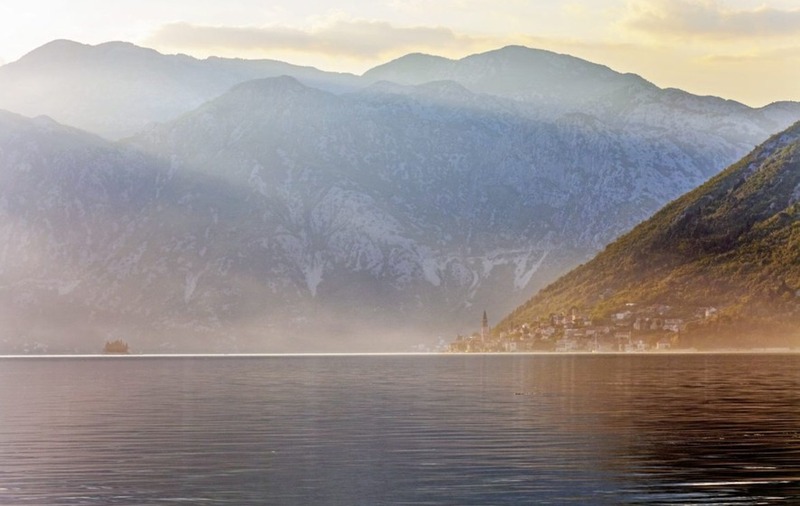 While for now most visitors stick to its impossibly picturesque coasts and around the Bay of Kotor where the mountains plunge to the sea, there is a sense that this is an eco-tourist paradise on the verge of discovery. The coastal towns and villages show clear Italian influences, with cobbled streets, piazzas, Venetian-style palaces and small Catholic Churches. But alongside these are onion-domed Eastern Orthodox churches and as you travel inland these predominate – that is until you get to the south of the country which borders Albania and where you are more likely to see minaret-topped mosques. Despite its small size, traversing Montenegro from one end to the other is a day’s journey. The roads are twisting and narrow, often alarmingly so. A journey to Ostrog monastery, which clings to the face of a cliff in the centre of the country, looked straightforward enough on the map. Two hours later and after staring wild-eyed into plunging ravines inches from the car wheels as a bus carrying Romanian pilgrims came hurtling towards us, I was close to converting to the Serbian Orthodox Church in gratitude for still being alive. Joining the queueing faithful – the women dressed head to toe in black, many having made the 900 meter climb on foot – and not quite sure what we were queueing for, I edged along a narrow path looking into the valley below falling away like an abyss. Eventually ducking into a cave, its ceiling and floors beautifully decorated with paintings depicting scenes from the Bible, I came face to face with an Orthodox priest blessing pilgrims with a crucifix in one hand and talking into the mobile phone he held in the other. For the hiker, head to the town of Zabljak, where the landscape is reminiscent of the Austrian Alps, flat open countryside, rising into the black pine woodland that covers the lower slopes of the Durmitor mountain range. It is already popular with winter tourists – mostly from Russia and other parts of the Balkans and eastern Europe – who come here to ski and for other snow-themed sports and activities. But there is an extensive network of walking and cycling trails and there is a sense that the region is just starting to realise its full potential as an all-year eco-tourism destination. 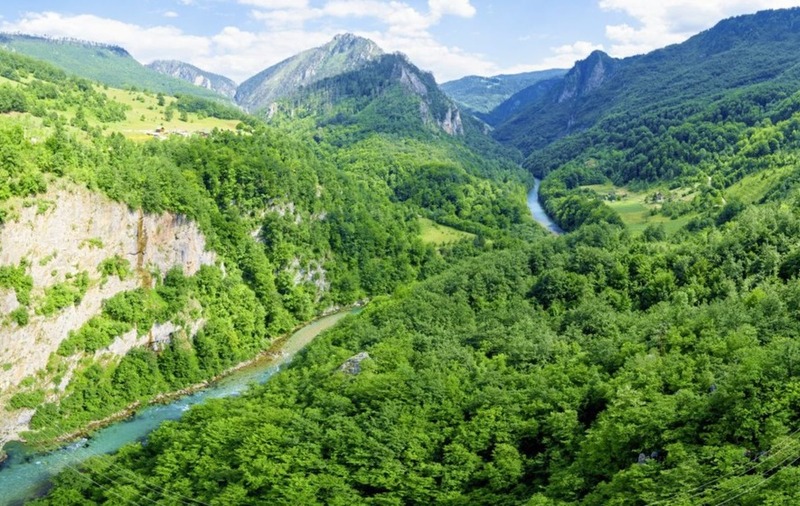 Close by is the Tara River which pounds through the deepest canyon in Europe while in the skies hover eagles, kites and ospreys. In among the pines and dense forests of ash, beech and birch lurk wolves, wild boar and even bears. Go now (there are regular flights from Belfast and Dublin to Dubrovnik in Croatia, just a few miles from the Montenegro border) before the tourist hoards discover the Black Mountain country. Just be careful of the bears.